This is one of the statues at Plaça Catalunya (Catalonia Square). 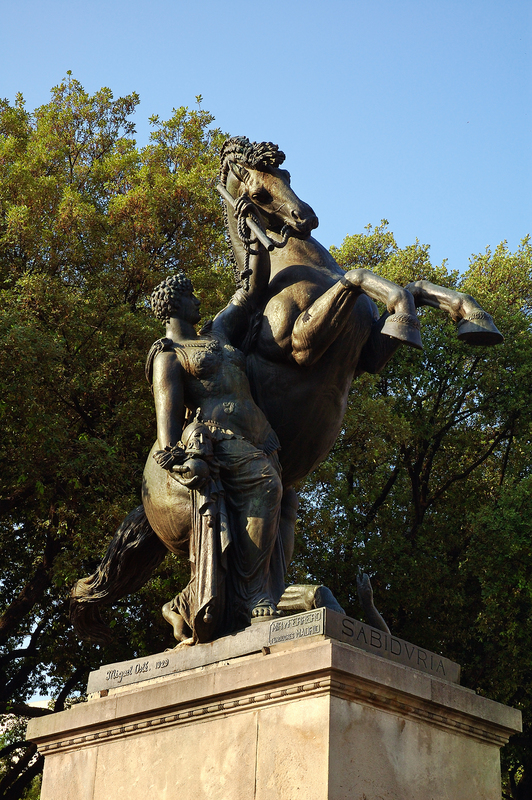 Around the center of the square there are different sculptures, each of them with an allegoric name. The one you can see in today's picture is called Sabiduría (Wisdom) and on the pedestal you can easily read the name of the artist: Miguel Oslé 1929. Wow, Carlos. Your city and your photos of it are beautiful. I hope I can humbly show Barcelona as beautiful as on site. Thanks.